St. Petersburg is a real open-air museum with many amazing attractions not to miss! Be certain visiting this magnificent city will become one of those correct decisions you make. Even if you are here on business, make sure you spare enough time to devote it to exploring the city. 8Rental will gladly offer chauffeur service in Saint Petersburg. The most luxury cars and personal driver in Saint Petersburg are at your full disposal! Choose the chauffeur service that suits your requirements the most, and get transported inside the city in complete comfort. Depending on your budget, the purpose of travel to St. Petersburg, as well as your vehicle preferences, you may select a luxury Audi A6 with private chauffeur or Mercedess E Class with private chauffeur and enjoy a lush life as long as you are in St. Petersburg, or book a simpler model not to appear in the center of attention on the road. Regardless the car model you rent, be sure it will be equipped with everything necessary for providing you with amazing drive! Rent a car with driver in Saint Petersburg. Seat heating systems, air conditioning, premium safety system, CD/DVD players, power windows, climate controls, cruise control system. All the cars in 8Rental's fleet are in perfect condition and provide with all these amenities. 8Rental has hired some of the most knowledgeable drivers in the city! Hire a car with a driver in St. Petersburg and get to know how safe you can feel with a real professional chauffeur behind the wheel. 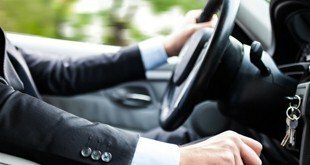 Entrust your safe driving to 8Rental's drivers just as we entrust them the reputation of our service! Every driver employed by 8Rental car supplier has to present a driving license and have at least a several-year practice in private chauffeur service. What will you get by hiring a car with driver from 8Rental? Just count yourself - a premium car, private driver, sensible pricing with a nice bonus, free fuel, Add friendly customer support 24/7 and you will get a perfect car rental service with a private chauffeur in St. Petersburg! 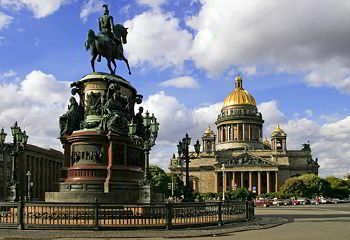 The cultural heart of Russia is St. Petersburg! This incredibly amazing city is rich with architectural masterpieces people from all angles of this huge world come to admire! Once here, give yourself much time to browse the world-renowned art collection of the Hermitage. But don't hurry to get sufficed with it alone! St. Petersburg offers much of as art, so fine dining, nightlife and amazing cultural destinations to repeat your visit again and again! 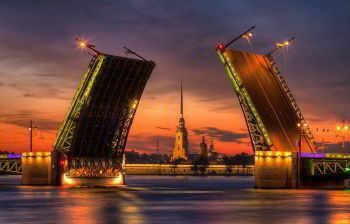 Looking for a personal driver in Saint Petersburg? Are you in St. Petersburg on a romantic tour with your significant other? Would you like to get a brief guide where to take your beloved person? If yes, 8Rental will help you, don't worry! Rent a chauffeur-driven car in St. Petersburg and tell your personal driver in Saint Petersburg to take you to the State Hermitage Museum and Winter Palace. Be sure, your fiance will be fascinated! Palace Bridge should become your next destination. Get there at the sunset to admire the warm lights of the sunset. Afterward, order the private chauffeur service to drive you to Terrassa restaurant! With its unbelievably delicious cuisine, amazing interior and premium service, the restaurant will make your romantic dinner unforgettable! The most reputable car rental with driver suggests visiting Summer Garden and Summer Palace of Peter I, New Holland, State Russian Museum, and Anichkov Bridge. Other restaurants that will provide you with a dinner of your dreams are Dom Byta and Moskva Na Nevskom. Whichever direction you take, the wonderful pastime is guaranteed! 8Rental provides all its clients with premium customer support! Whatever questions you may have concerning booking a car with a personal driver in Saint Petersburg, you may give to our specialists. Be sure, you will be answered almost immediately.